Margaret E. McCarthy is a Research Scholar in Law and the Executive Director of the Collaboration for Research Integrity and Transparency at Yale Law School. She was a visiting lecturer at Cornell Law School where she taught Trial Advocacy from 2004 to 2015. 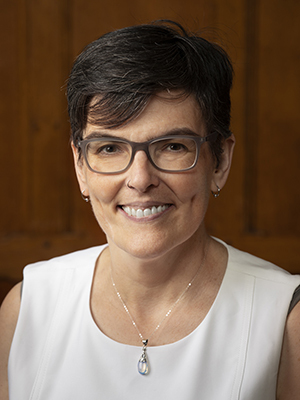 Margaret E. McCarthy is a Research Scholar in Law and the Executive Director of the Collaboration for Research Integrity and Transparency at Yale Law School. She was a visiting lecturer at Cornell Law School where she taught Trial Advocacy from 2004 to 2015. She has extensive litigation experience at the trial and appellate level, focusing on indigent representation in criminal and family law cases. She received a Ph.D. in Human Development from Cornell University in 2014. Her research, conducted at the Bronfenbrenner Center for Translational Research at Cornell University, focused on child abuse and neglect, and the effects of poverty, income inequality, and adverse life events. She evaluated the United States Army’s efforts from 2011 to 2014 to implement a formal evaluation procedure for health promotion, risk reduction and suicide prevention programs. She also worked at the National Data Archive on Child Abuse and Neglect, a federally funded repository of datasets available for secondary analysis. She was an early AIDS/HIV activist and was involved in collaborative policy work on issues including clinical trials, treatment and the drug approval process, and equitable access to HIV/AIDS treatment.